Jaime has real love for the city that changed his point of view in all senses but specially in the music, Berlin. His love story with Berlin begins when he was 18 years old and carries out many hours of music. Now being back to Madrid, he believes that is possible to bring some of the Berlin spirit into the capital of Spain. Since 2012 Jaime has played internationally in Playa del Carmen, Berlin, Shanghai, Dublin or Zurich. 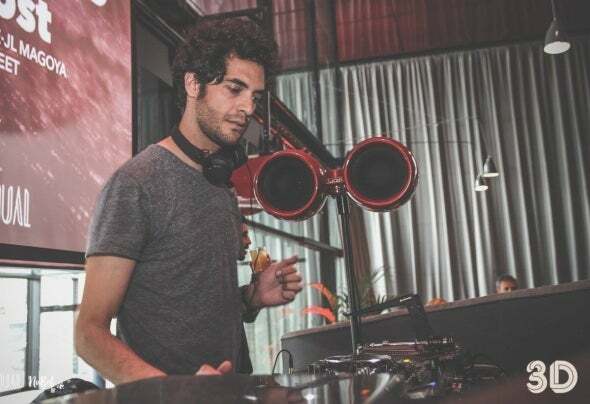 In Spain he has brought his party Berlinale to a higher level and he plays in all the underground venues of Madrid regularly. He has started to produce music with the supervision of Paco Bugging in this 2017.